Governor of Bayelsa State, Mr. Seriake Dickson, yesterday declared that the Ijaw people of the Niger Delta remain the most unfairly treated in the entire country. The governor who spoke when the leadership of the Ijaw Youth Council (IYC) Worldwide paid him a visit in his office in Yenagoa, urged them to continue to put the legitimate issues of economic marginalization and environmental pollution affecting the region in the spotlight. Dickson called on the apex Ijaw youth body led by Mr. Roland Owelaemi to collaborate with the government in addressing the age-long problems of under-development of the Ijaw nation by successive administrations at the federal level. 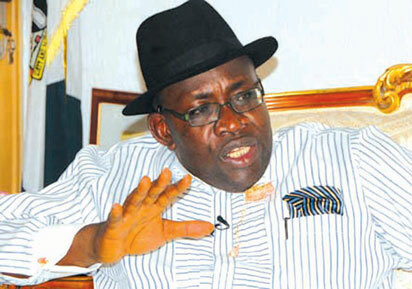 “The Ijaw nation is oppressed in Nigeria, and those of us in positions should fight and protect the Ijaw interest. The weapons and strategy for the struggle must change. “For 60 years, there is no road to Bonny and Brass, where crude oil is lifted daily. No airport in the Ijaw nation, no oil company operating in the state pays taxes to contribute to the economy. “The IYC must continue to raise the legitimate issues without fear of intimidation. I expect you to mobilise and raise the consciousness of the people about the precarious situation we are in”, said the governor. He expressed dismay over the state of the region, in spite of its huge contributions to the economic growth of the nation and called on political leaders and those in positions of trust to protect the collective interest of the Ijaw nation. However, Dickson said that the struggle to emancipate the Ijaw nation was no longer about carrying weapons, “but through intellectual and persuasive means”. The governor argued that after 20 years of the creation of Bayelsa State there were no boarding schools and functional hospitals, until his administration came and changed the narrative. He also advised the youths of Ijaw descent to shun all forms of vices, including cultism and drug abuse. Earlier, in his opening remarks, Oweilaemi said Dickson had succeeded in giving the Ijaw nation a sense of direction, purpose and a respectable identity in the comity of ethnic nationalities. He called on the Federal government to allow the people of the region to establish and manage the proposed modular refineries in the region, adding that it is one way the people of the region would be compensated for all the degradation they had been subjected to. The youth leader reiterated the 90-day ultimatum to all oil companies operating in the Niger Delta to relocate their corporate headquarters to the region, in line with the directive of the federal government.